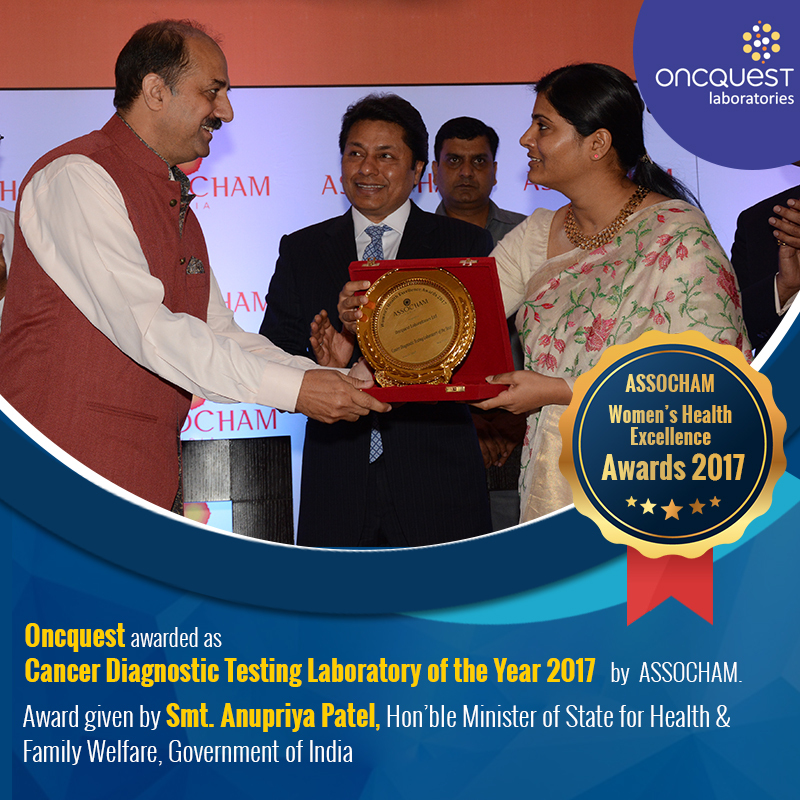 Oncquest Laboratories Ltd. has been awarded as the Cancer Diagnostic Testing Laboratory of the Year 2017 under ASSOCHAM’s Women’s Health Excellence Awards 2017. 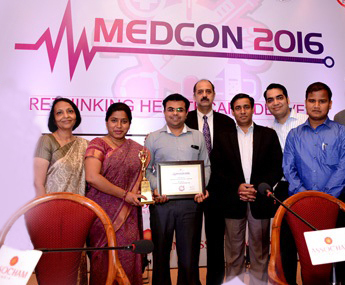 The Award given by Smt. 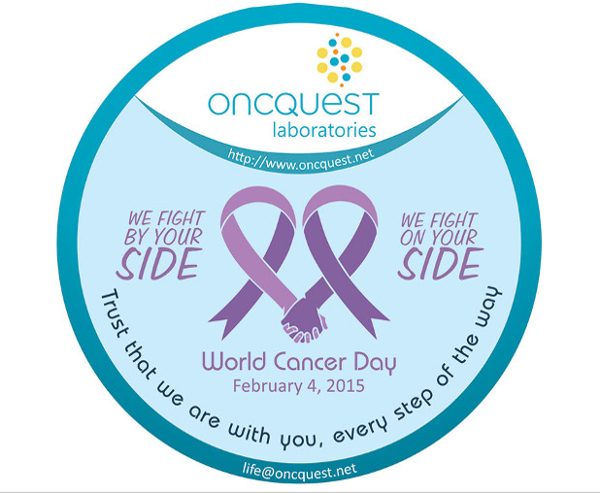 Anupriya Patel, Hon’ble Minister of State for Health & Family Welfare, Government of India. 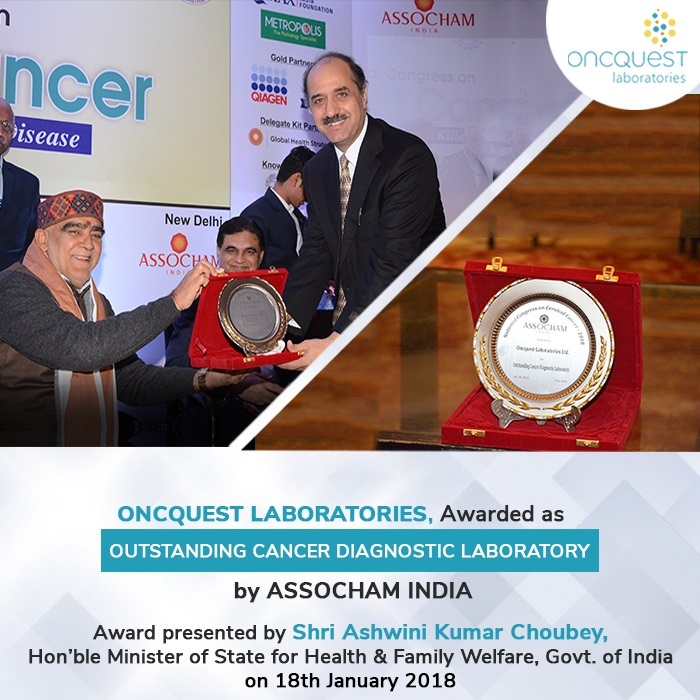 ASSOCHAM (The Associated Chambers of Commerce & Industry) India, one of the oldest & largest fountain head of Knowledge for Indian industry, has also awarded Oncquest Laboratories Ltd. as the ‘DIAGNSOTIC SERVICE PROVIDER OF THE YEAR 2016’. 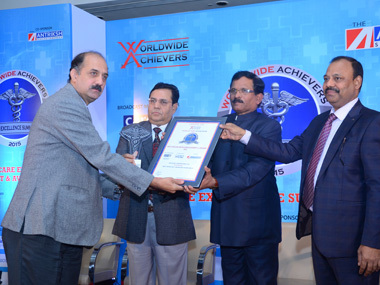 Worldwide achievers, one of leading global market research consultant company has rated Oncquest Laboratories ltd New Delhi, as, the ‘BEST PATHOLOGY LABORATORY IN DELHI’ at a glittering Healthcare excellence Summit, 2015.